I feel like John Coltrane would have loved Colin Stetson. I read everything I can about Coltrane, even books that I don't understand - I'll read them anyway because I want to learn about him. He used to practise his instrument until his reeds were red with blood and at the point he physically couldn't play anymore he would go to the library and study classical music because he wanted to break it down and understand the way it moved. He's a very mysterious man and Stephen O'Malley and myself talk about this a lot, we both have a hunger for any tiny snippet of audio or little piece of dialogue we can find that is actually the voice of Coltrane expressing himself. 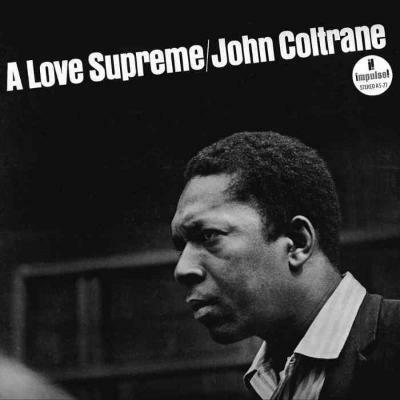 He was a deeply spiritual man and I think with A Love Supreme there is no question that he was seeking some kind of communion with god. When you look at the original score for it, there's a piece of handwritten notation at the bottom and the words say 'all paths lead to god'. It's fascinating, that after a lifetime's worth of really diligent study to all areas of art, music and spirituality - which underpinned everything he did as a musician - he then was trying to find freedom, to set himself free. Which is a real paradox once you've absorbed and consumed and partaken in so much knowledge, to then release yourself again. When people say they don't understand the final period of his life, I understand entirely what he was trying to achieve. I think it's one of the most extraordinary pieces of music ever written.